My idea behind my blog was to focus on all things fabulous to do with fashion, food and travel with the occasional post about issues that grab my attention and I feel like I have something to say about! For those that know me I usually have something to say about most things but really want to keep the focus on this sight to those things that are related to my passions of fashion, food and travel with just an occasional aside to something that I think also needs some discussion. This is one of those times! 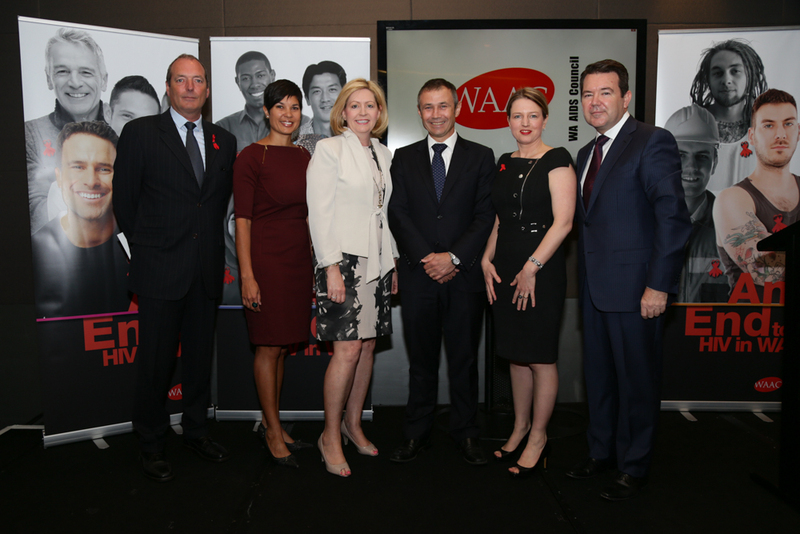 An End to HIV in WA is a new campaign that was launched yesterday at CROWN Perth by the Lord Mayor of Perth Lisa Scaffidi for and on behalf of the WA AIDS Council. The launch marked the start of World AIDS Awareness week and here in WA it is very hard to get any media interested in reporting something as ground breaking and challenging as this campaign promises to be! Coming on the back and working closely with the national Ending HIV campaign this is the first time in the thirty year history of HIV in Australia that ending transmission of the virus is a realistic possibility. Having lived through and worked in this area now for over 20 years I have seen the ever changing face of the HIV pandemic here in WA and also the ebb and flow of the interest of the general media in reporting on the issue in any shape or form. There is still occasionally coverage of a story but it is usually relegated to the health pages or lost towards the back of a newspaper if it is reported on at all. Radio is sometimes a different story with a few of the local stations picking up a story and getting comment and reporting throughout the day but by and large the media does not seem to want to report on local HIV related stories. Perhaps a good news story like the community working towards an end to HIV does not interest the editors out there but it does deserve to be heard far and wide! I am not sure how we get the media interested in reporting on something as important as this and thank goodness for social media, this is a really strong outlet that allows for discussion, information exchange and real dialogue to occur and to get the messages out there to a large market who perhaps are no longer engaging with traditional media outlets…hence my blogging, tweeting and face booking on issues that I think need more traction out there…and not just the glamorous things that I do love to write about! NSW has already launched their campaign Ending HIV and this campaign is now being rolled out nationally over coming months. The WA AIDS Council has developed a more comprehensive program the incorporates Ending HIV but also includes additional strategies addressing the specific community challenges that are most evident in this state and reflected in the local epidemiology. An End to HIV in WA is a mobilisation strategy with three simple and straightforward messages about testing, treating and staying safe! Now is the time for all of us to sign up to work together to make this happen! In 2013 HIV is still an issue of importance and with the past 12 months seeing a rise in new infections in this country across the board surely we all want to work together to stop this and to ensure that we can see an end to HIV not just in WA but in Australia and the rest of the world! We must all commit to taking the messages out to our communities and if we all do that, then this is a real possibility.